Weighty Matters: Mars Chocolates And "The Emotional Low Point of the Shopping Journey"
Mars Chocolates And "The Emotional Low Point of the Shopping Journey"
Describing their "deep understanding of the shopper" candy maker Mars reports working with retailers to try to entice consumers at "the emotional low point of the shopping journey" - checkout. Mars explains that consumers at checkouts have three needs that retailers can meet: Refresh, Reward, and Remind. 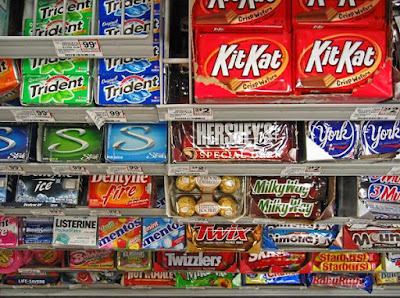 Refresh, according to Mars, should consist of junk foods like gum, mints, beverages, and snacks, and take up 51% of checkout real estate. 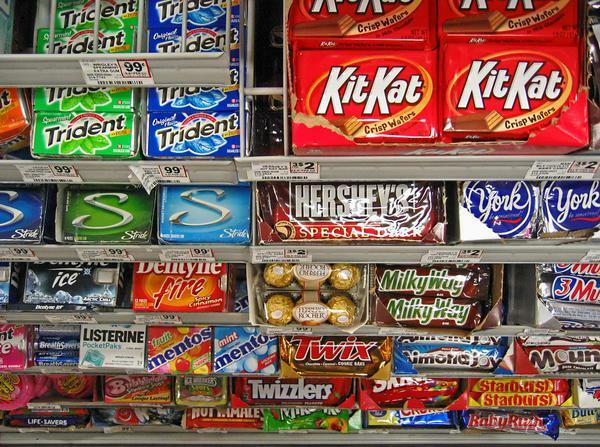 Reward should be chocolate or non-chocolate candy and take up 39% of total checkout space. Remind should be small items people might have forgotten like batteries and lip balm and take up just 10% of the checkout aisle. Checkout is an area ripe for change. CSPI has been campaigning for candy free checkout aisles for some time, and some retailers have followed through citing consumer demand. I wonder if Mars' outreach has something to do with this changing tide? Worth noting, the publishing industry would certainly be an ally in candy free checkout campaigns. Here is their frustrated response to Mars' push which they note, includes a "blatant omission of magazines". That said, given the contents and covers of checkout aisle magazines, it may be difficult to describe them as healthful either.